Each bun is made carefully by hand so as not to damage the delicate dough. After the first rise, the dough is carefully divided so as not to damage it and shaped into buns by hand. 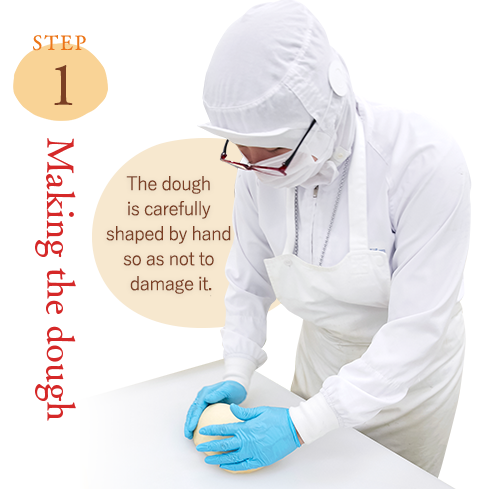 The dough is then allowed to rise to a soft texture in a rising chamber kept at the correct humidity and temperature. This is an important step that cannot be left to a machine. The cream is watched carefully by human eyes as it cooks. Milk, eggs, and sugar are measured and then mixed together before being cooked gently in a large pot. Color, viscosity, water content, and other factors are monitored carefully by human eyes until the custard is cooked. This too is a process that cannot be left to a machine. 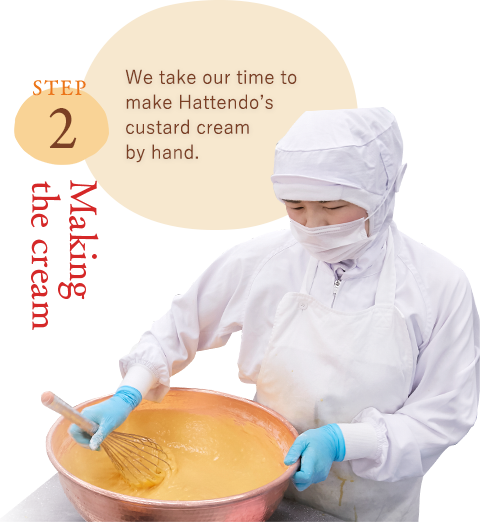 The cooked custard is cooled and mixed together with whipped fresh cream from Hokkaido to create Hattendo’s melt-in-the-mouth custard cream. Because the buns and the cream are so soft, they would be crushed if wrapped by machine. Once the buns have cooled to the right temperature, they are individually filled with cream by hand. They are then put through an X-ray machine to check that they have no contaminants and that they have been filled uniformly, before being carefully wrapped by hand one by one. Because both the bun and the cream inside it are extremely soft, the cream buns would be crushed if they were wrapped by machine. 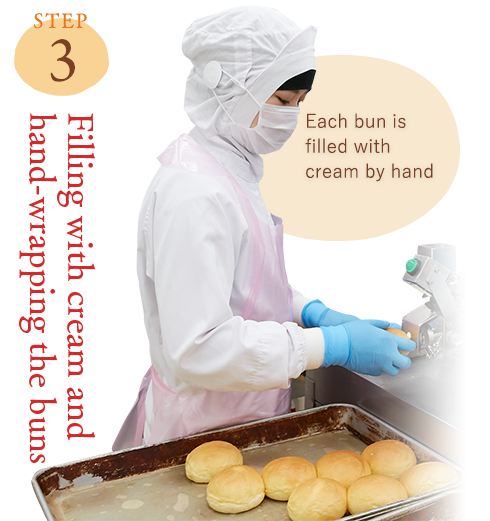 Skilled workers wrap each Cream Bun one by one at a blindingly fast pace. Even though the entire process is done by hand, our factory maintains a daily production volume of more than 40,000 buns. No other bakery in Japan can boast this kind of record. The finished Cream Buns are then air-freighted to stores and delivery centers throughout the country. They cannot be frozen as this would adversely affect the quality of the buns. 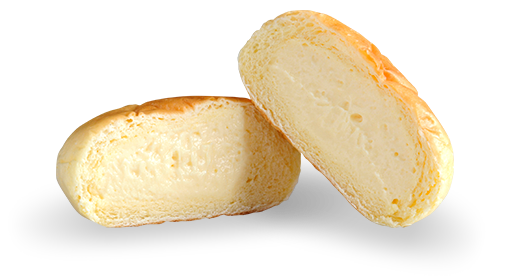 To ensure that our cream buns, which have such a short shelf life, reach our customers quickly, the process from wrapping to shipment is performed carefully and swiftly.